It was only logical that Claudio Abbado should start his tenure with the Berliner Philharmoniker in December 1989 conducting Mahler’s First Symphony. Firstly, because Abbado was even then considered one of the great Mahler conductors of his time, and secondly because this symphony by the still young composer is infused with an irresistible expression of freshness and new beginnings. Even today we can feel the special magic of this new beginning in this video document. The election of Claudio Abbado came as a surprise to the music world – not least to the conductor himself. In many ways he embodied a contrast to Herbert von Karajan who, particularly in his later years, had became ever more remote from his musicians. 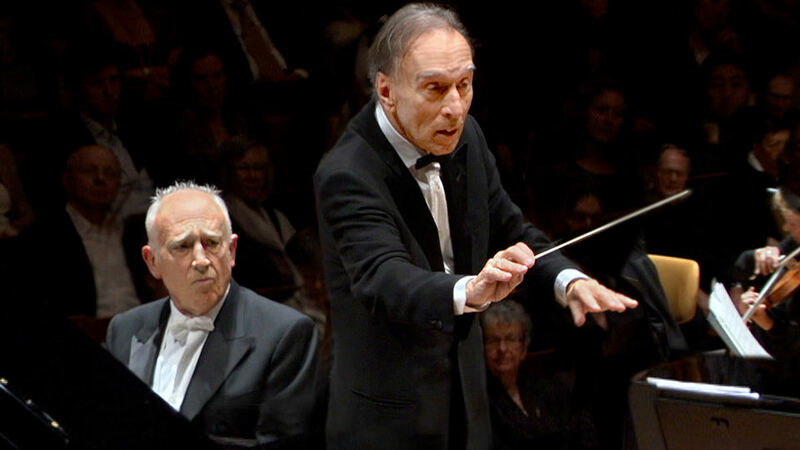 Claudio Abbado, however, made it clear from the outset that he was simply “Claudio” to everyone. Furthermore, he followed new musical directions; he aimed at a more transparent sound, and put an emphasis on new music – and also on Mahler who had only occasionally appeared in Philharmoniker concerts under Karajan. Mahler was only in his mid 20s when he composed his first symphony. It is particularly astonishing that even in this work, all the features of his symphonic style are already present: the sounds of nature, the parody, the monumentality and the affinity with folk song. On top of that, there is the consummate compositional craft which nevertheless never hems in the optimistic naturalness of this work: an expression that perfectly reflects the sense of optimism for the future that shines through in everyone involved in this concert. 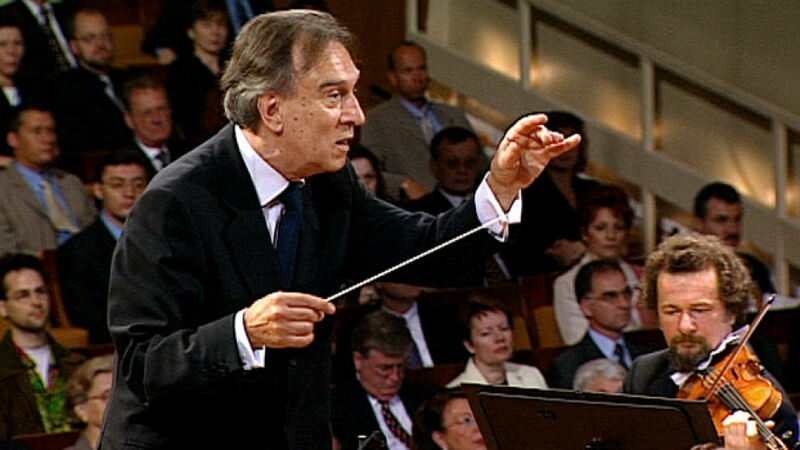 Claudio Abbado conducted Beethoven’s symphonies on many occasions in the Philharmonie in Berlin. But only at the end of his tenure as chief conductor of the Berliner Philharmoniker did he decide to give a performance of the complete symphonies. It was left to audiences of his native Italy to witness these concerts in February 2001 in the Accademia Nazionale di Santa Cecilia in Rome. For both critics and the musicians alike, they marked great moments in the partnership of conductor and orchestra. 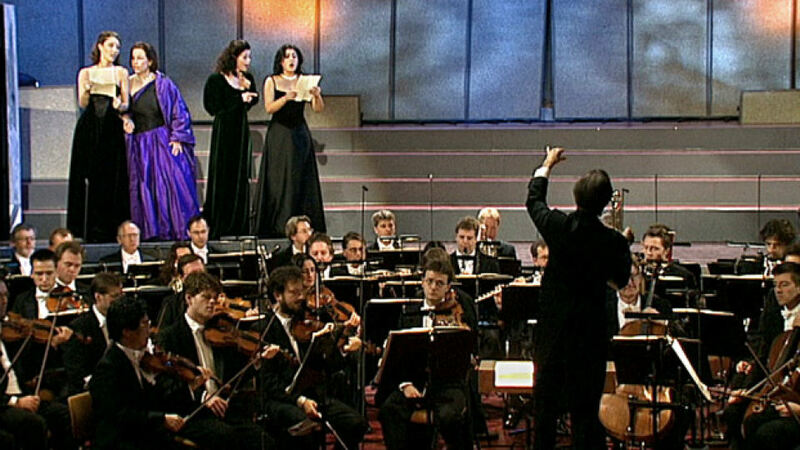 Although orchestra and conductor performed all the Beethoven symphonies in Rome, the Ninth was not recorded at the time as the work had been produced for television just a few months before for the European Concert in May 2000. This recording is also available in the Digital Concert Hall. 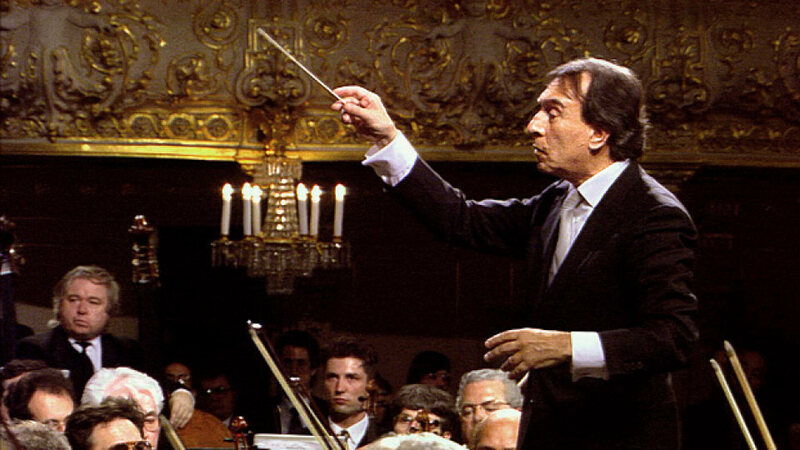 Claudio Abbado and Maurizio Pollini covered much of their artistic careers together, giving many joint concerts, including the ones with the Berliner Philharmoniker. In this recording from 2011, they perform Mozart’s Piano Concerto No. 17 in G major together for the first time in Berlin. The same evening, Claudio Abbado conducted the Adagio from Mahler’s unfinished Tenth Symphony with his old orchestra for the first time. The appeal of the G major concerto lies not least in the prominent role given to the woodwind. On an almost equal footing, they converse with the piano, awaking memories of ensemble scenes in Mozart’s operas. And just as in an opera, the gamut of emotions is run: “Within its friendly key”, the work is “full of secret smiles and secret sorrows,” fittingly wrote the Mozart scholar Alfred Einstein. There is genuine theatrical drama in this concert with Mozart’s concert aria K 418, giving us the opportunity to meet Anna Prohaska, a young soprano from the Staatsoper Unter den Linden and a rising star of the Berlin music scene. The concert opens with Alban Berg’s Symphonic Pieces from Lulu, which Berg put together to promote his opera, at a time when he saw the planned premiere threatened by the Nazi regime. The result is a fully-grown five-movement symphony resembling not least the symphonies of Mahler – a composer who Berg deeply admired and whose baton he once stole as a souvenir. Notably, the parallels between the last of the pieces, an adagio, and the Adagio from Mahler’s Tenth are clear; both manifestations of the hopelessness of, and a farewell to life. 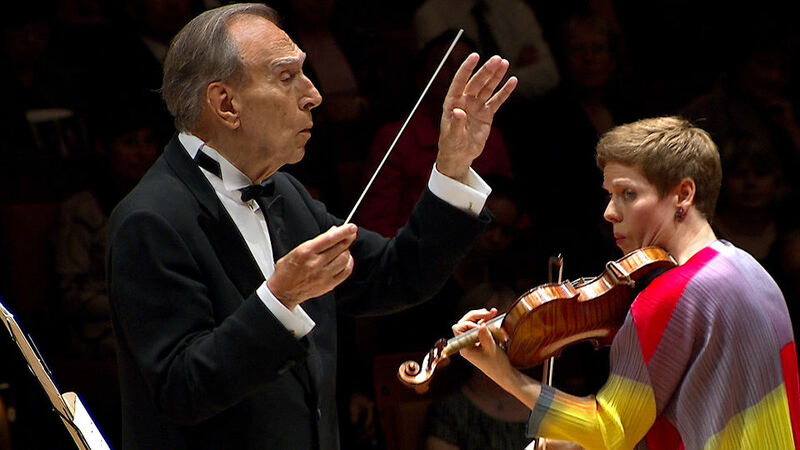 Whenever Claudio Abbado and the Berliner Philharmoniker performed works by Robert Schumann, it was mostly rarities that were to be heard: the Szenen aus Goethes Faust, or the melodrama Manfred. The overture to Schumann’s opera Genoveva, which Abbado conducts in this performance at the Philharmonie, is also likely to be a discovery for most. On the other hand, the concert ends with one of the composer’s most popular works: his Second Symphony. Schumann composed the symphony at the end of 1845, when he was suffering from the effects of severe depression. “It seems to me that one must hear that in it,” was how he judged it himself. And in fact this is highly sensitive music that seems, for example in the Adagio espressivo of the third movement, as if the real world is left ever more behind. Other sections come across as more robust, more confident – but a fragile nervousness constantly emerges. However, the symphony should not be understood as a “musical medical report,” but as a particularly impressive document of Romantic sensibility. The second composer in the programme is Alban Berg, who repeatedly devoted himself to the works of Schumann. Many of Schumann’s characteristics have since been revealed in Berg’s own style. For the listener, the influence is provided rather by the authentic sensitivity which is inherent to both composers. In Berg’s case, this is exemplified in the Altenberg-Lieder and in the Violin Concerto, which is performed in this concert. To explore the emotional depth of these works, the services of two outstanding soloists were secured: the mezzo-soprano Anne Sofie von Otter and the violinist Isabelle Faust. 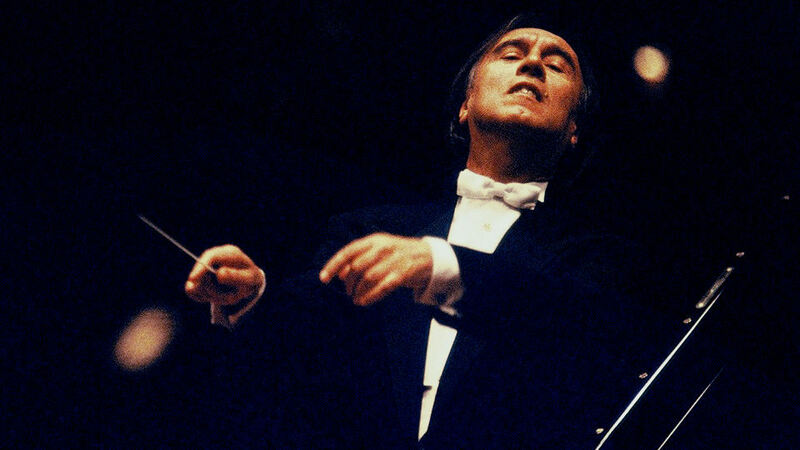 During Claudio Abbado’s time as chief conductor of the Berliner Philharmoniker, the great symphonic repertoire naturally formed the core of his artistic work, and it was almost forgotten just what an important role the music theatre of his Italian homeland played in his life – after all, he had led La Scala in Milan from 1968 to 1986. Just how special the works of Verdi were to him could be heard in the New Year’s Eve Concert from 2000 which, with famous scenes and arias, rang in the Verdi year 2001 when the music world commemorated the 100th anniversary of the composer’s death. When it comes to Verdi, Claudio Abbado’s preferences are very individual, promoting lesser-performed works such as Simon Boccanegra and Macbeth, while never conducting the popular favourites Rigoletto and La Traviata. As such, it was a rare pleasure to hear him conduct excerpts from the two latter works for this New Year’s Eve Concert. The remaining works of the evening are closely intertwined with Abbado’s biography. With Un Ballo in Maschera, he celebrated triumphs in the 70s and 80s, such as in a Viennese production with Luciano Pavarotti. And in the case of Don Carlos, Abbado caused a stir when he conducted the little-known French version of the opera. This concert includes the third act ball scene which is not retained in the usually performed Italian version. The main part of the evening is taken up by three extensive scenes from Falstaff – Verdi’s final opera, with its humorous and forgiving view of life and its brilliantly constructed ensemble scenes. 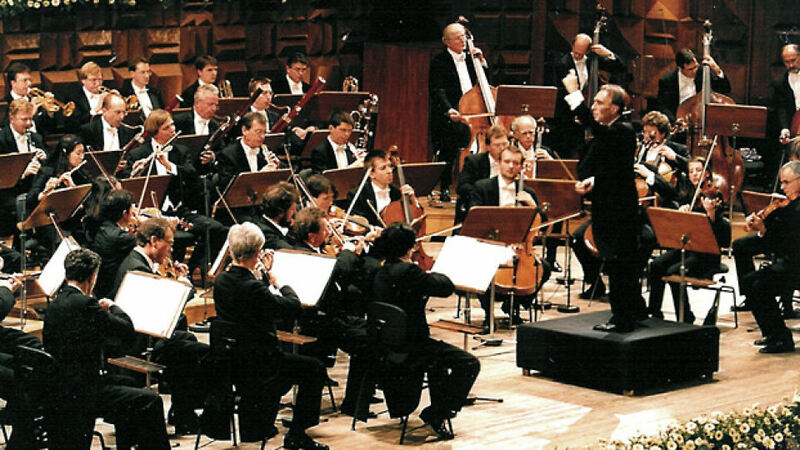 Abbado conducted the work for the first time in 1998 at the Staatsoper in Berlin in a critically acclaimed performance which critics hailed the most important opera production the city had seen for decades. Even serious music lovers know it: the anticipation of the finale of a symphonic work where the composer once again mobilises all available musical forces to achieve a climax that brings audiences to their feet. 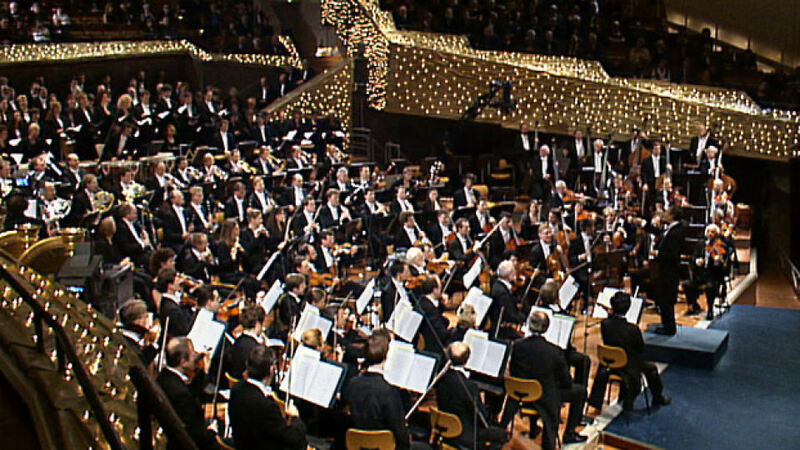 On New Year’s Eve 1999, the Berliner Philharmoniker audience was granted the rare opportunity of enjoying an entire evening of just those spectacular closing movements: an appropriate farewell to the 20th century. Led by chief conductor Claudio Abbado, the concert broadly followed historical chronology: Firstly, the brisk, storming finale from Beethoven’s Seventh Symphony, followed by Dvořák’s Eighth, which demonstrates just how Bohemian melancholy can turn suddenly into wild rebellion. On the other hand, the sunny and powerful conclusion to Mahler’s Fifth Symphony is unusually optimistic for the composer. With the jagged rhythms of Stravinsky’s fairy-tale ballet The Firebird, we reach the classical modern age. Sergei Prokofiev then sets a monument to the Russian national hero Alexander Nevsky in his cantata of the same name, before the official part of the concert comes to a close with Schoenberg’s Gurrelieder, narrated by the world-famous Austrian actor Klaus Maria Brandauer. But the concert is not over yet. Introduced by a humorous speech by the orchestra’s horn player Klaus Wallendorf, the musicians then served up a selection of cheerful encores from the repertoire of Berlin operetta from the 1920s, culminating in a piece with which the Berliner Philharmoniker always conclude their open-air concerts at the Waldbühne: the unofficial Berlin anthem by Paul Lincke, Berliner Luft. 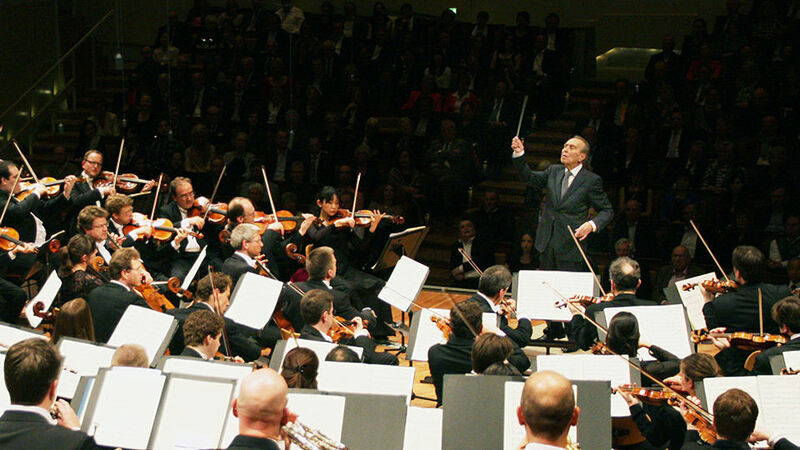 Songs of Love and Desire was how the Berliner Philharmoniker and Claudio Abbado subtitled their New Year’s Eve Concert from 1998. The various ways these powerful human emotions manifest themselves was to be heard in famous arias and scenes by Mozart, Verdi and Tchaikovsky. The soloists were Christine Schäfer, Simon Keenlyside and Marcelo Àlvarez, three of the best opera singers of the younger generation. They were joined towards the end of the evening by a prima donna assoluta of the 20th century: Mirella Freni. The singers impressed not only through vocal splendour, but also by their dramatic versatility. Christine Schäfer perfectly conveyed the subtle differences between the genuine desire of Gilda in Verdi’s Rigoletto, the feigned love of Susanna in Mozart’s Figaro and the timid, doubting affection of Zerlina in Don Giovanni. Male passion, in turn, is shown in this concert from its more dubious side, with Simon Keenlyside portraying a Don Giovanni who constantly changes between charm and lasciviousness. On the other hand, Marcelo Àlvarez as the Duke in Rigoletto pursues his conquests with a gentle, but no less insidious seductiveness. And finally, the appearance of Mirella Freni, whose connection with the Berliner Philharmoniker goes back to 1972, when she collaborated with Herbert von Karajan on the legendary recording of La bohème. With great vividness and musicality, she performed the letter scene from Tchaikovsky’s Eugene Onegin as a miniature drama in which doubt, determination and unconditional love struggle for supremacy. There are not many opera houses that deserve the attribute “legendary”, but the Mariinsky Theatre in St. Petersburg, where both Mussorgsky’s Boris Godunov and Tchaikovsky’s Nutcracker received their premieres, is certainly one of them. So it was a special experience for the Berliner Philharmoniker and Claudio Abbado to perform their European Concert on this stage in 1996. At the same time, the musicians celebrated a small anniversary, as it was one hundred years ago that the orchestra had performed in Russia for the first time, as part of the festivities for the coronation of Tsar Nicholas II. With reference to their hosts, the musicians opened the concert with excerpts from Prokofiev’s ballet Romeo and Juliet, which had also been given its premiere there. The Russian-themed part of the concert closed with a powerful performance of the Cavatina from Rachmaninov’s opera Aleka by Anatoli Kotscherga. The second part of the concert with Beethoven’s Violin Romances is linked to the Cavatina in as far as they also bring operatic scenes to mind with their shifting between beauty of sound and dramatic expression. The soloist is Kolja Blacher, who was first concertmaster of the Berliner Philharmoniker from 1993 to 1999. The concert came to a close with Beethoven’s Seventh Symphony, whose piano reduction Beethoven had dedicated to the Russian Tsarina Elisabeth Alexeyavna. In the words of BBC Music Magazine, the work was given “an exhilarating performance characterised by glossy strings and sprightly wind solos”.